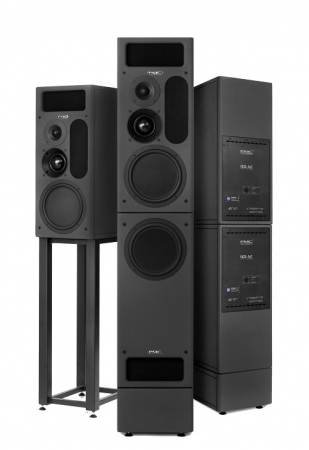 More power, more detail and more flexibility are the attributes the most discerning music makers get when they invest in PMC�s new IB2S-AII and twin cabinet IB2S XBD-AII reference monitors. This new generation of PMC�s prodigious IB2S active range is aimed at professional users working in stereo and surround formats who require true high-end monitoring - with both analogue and digital inputs - for reference and mastering applications. The three-way IB2S-AII master cabinet can be purchased as a speaker in its own right, or together with the single-driver XBD bass cabinet to form the IB2S XBD-AII system. Both systems feature PMC�s hand-built preparatory drivers � a 10-inch carbon-fibre/Nomex� piston, a 75mm fabric dome mid, and a 34mm soft-dome tweeter in each cabinet. Both systems feature proprietary ATL� (Advanced Transmission Line) bass-loading technology for that signature precision bass at all levels.